What is the best possible outcome from your perspective? Which legal option will be the most likely to help you reach your long term objectives? What is the most cost effective approach for you, the client? Your answers to these questions will help me to provide you the most benefit for your dollar. Chasing legal remedies that do not serve your best interests are a waste of time‚ and money. The whole point of having a lawyer on your team is to help you achieve success. I focus on helping you develop a clear and comprehensive strategy designed for a successful outcome. Jeffrey B. Hare is an attorney in San Jose, California providing outcome-oriented legal services to his clients. Also a licensed real estate broker and real estate investor, Mr. Hare specializes in real estate law, real estate property transactions, LLC entity formation, using IRAs for real estate investment, commercial leases, loan documents, land use law, zoning and land use changes, municipal law, and mediation services. Mr. Hare represents real estate investors, commercial and residential property owners, and real estate developers. As an attorney and real estate investor, Mr. Hare provides both the new and experienced investor with a pragmatic but thorough approach to due diligence, contract review, and negotiations. Mr. Hare is familiar with regulations governing the use of self-directed IRAs for real estate investing, and helps clients getting started with the fundamentals, including formation of LLCs, drafting operating agreements, and advice on how to avoid prohibited transactions. With over 20 years experience in both the public and private legal sector working on land use, zoning, entitlement and code enforcement issues, Mr. Hare can assist the property owner in many aspects of property acquisition, due diligence, financing, leasing, and sale. Mr. Hare particularly enjoys helping new investors to get started on the right foot. 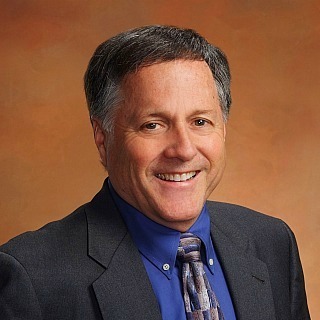 Before opening his private law practice in San Jose, Mr. Hare served as Assistant City Attorney for the City of Sunnyvale focusing on land use issues, and as City Attorney for the City of Morgan Hill, California, and has provided contract legal services to other government agencies in Santa Clara County. For the past ten years, Mr. Hare has been a Lecturer in Law at Santa Clara University School of Law, and is a former Captain in the U.S. Air Force. Client-focused, Outcome-oriented Attorney for the Real Estate Investor. Real Estate Broker, Real Estate Investment, Land Use Law, LLC Formation, Self-directed IRAs, Mediation.